If you suffer from eczema, you know how painful and annoying it can be. The temptation to scratch the itchy skin never seems to go away. Below, we explore what helps dry skin, take a look at an eczema cure and offer advice on how to avoid the seemingly never ending itch of eczema. 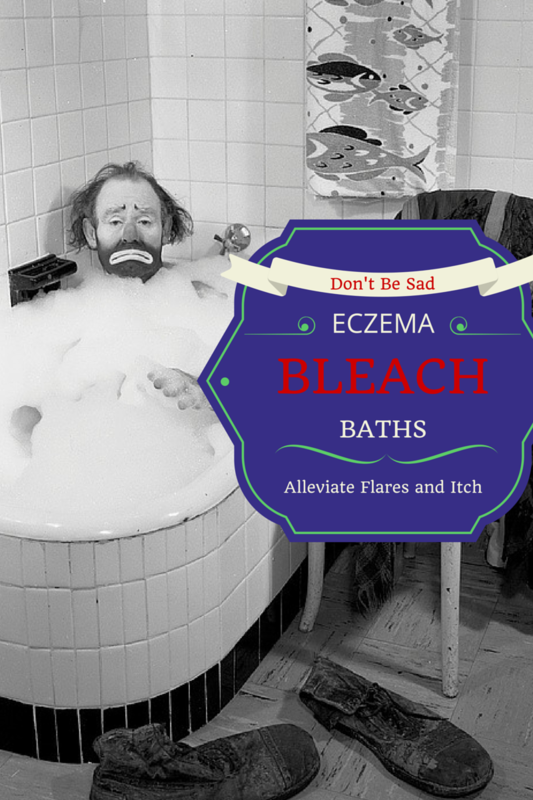 A diluted bleach bath will drastically reduce your eczema itch. It will also decrease the chances of a skin infection that worsens your eczema. Add one half cup of bleach to a bathtub full of lukewarm water. Mix it in well and soak in the bleach bath for about 10 to 15 minutes. Clean your skin with bleach water and you’ll notice that you aren’t as tempted to itch your eczema. Don’t use hot water as it will zap your skin of the moisture that it needs to stay soft and smooth. Apply a cold compress to the areas of your skin that are affected by eczema. All you have to do is put an ice pack inside of a soft towel or a plastic bag and hold it onto your eczema flare. Keep it there for at least a few minutes and you will find that your skin isn’t nearly as itchy as it was prior to the application of your cold compress. While there are a number of effective eczema medications that many claim to be curative, there are also some fabulous natural remedies. The key is to keep your skin moist. If you have a barrier that maintains moisture, your eczema will dissipate. Soak in a bathtub with lukewarm water for 15 minutes until your skin becomes wrinkled. Wash it with a mild soap. When you emerge from your bath, apply a vegan, hypoallergenic moisturizing ointment to your skin for an infusion of hydration. Many people who suffer from eczema have not taken the impact of their clothing into account. You should wear loose fitting garments that are comfortable. Your skin should really feel good when covered by the clothing that you wear. It is imperative that you sacrifice style for feel. Go for cotton and cotton blends. They are soft and won’t aggravate your eczema. Try to avoid wearing wool, synthetic fabrics and other rough materials as their coarse textures will aggravate your itchy eczema. If you are hot and sweaty, your eczema itch will only worsen. It is imperative that you stay as cool as possible to keep your eczema under control. Wear baggy clothes at all times, especially when you exercise so that your skin can breathe. Tight fitting clothing or clothing made with a coarse material will trap warmth and cause you to overheat and sweat. This will only aggravate your eczema itch. Use a humidifier in the winter to keep moisture in the air and prevent dryness. Keep your home at 75 degrees Fahrenheit or below to stay cool at all times.